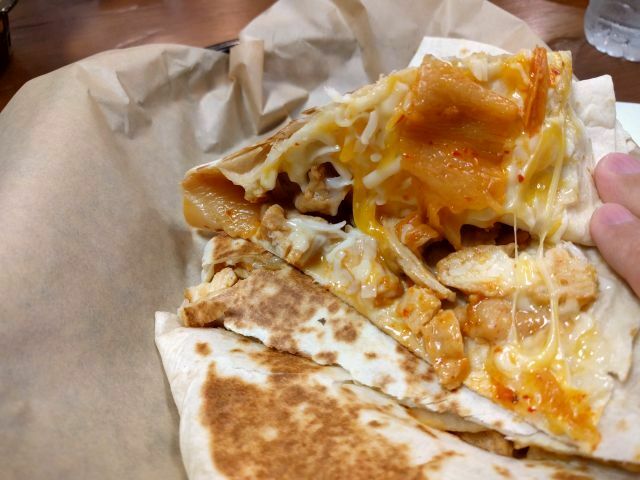 Like it sounds, Taco Bell's Kimchi Quesadilla is a quesadilla (cheese melted in a folded flour tortilla) with the addition of fermented kimchi cabbage. While it's only available in South Korea, I got to try it and a couple of other international Taco Bell items. I was told the kimchi was locally-sourced in Korea and, as far as kimchi goes, it was fairly mild, which caters to mainstream tastes I think... There wasn't a lot of fermented funk to it nor was it terribly spicy. Maybe it's because I'm used to eating kimchi with Korean barbecue but I don't like the way it goes with the creaminess of the cheese here. It's not awful but the flavors didn't mesh very well. 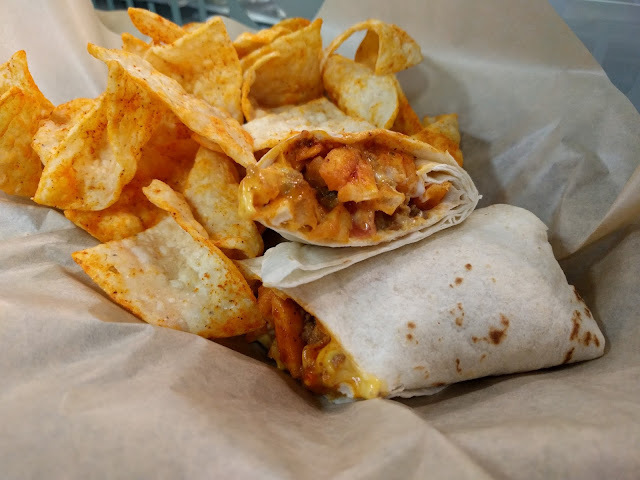 Beyond the Kimchi Quesadilla, I was also able to sample the Tikka Masala Burrito from India and Loaded Fries, which are available in the UK and Japan. 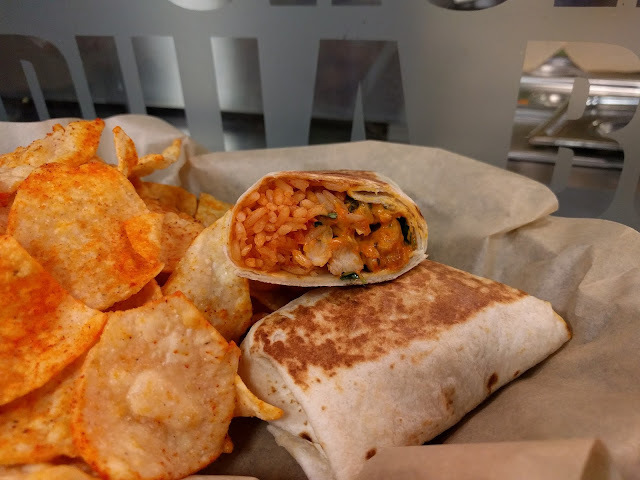 The Tikka Masala Burrito isn't too different from a grilled chicken and rice burrito here at home. It includes tikka masala sauce, cilantro, onions, Mexican rice, and grilled chicken. 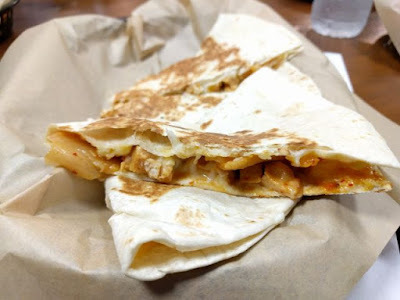 The burrito tasted very familiar until I got a bite with the tikka masala sauce, which offered a creamy, tangy, savory quality that went really well with the more Mexican-influenced ingredients (Can Mexican-Indian fusion be the next great food truck?!). 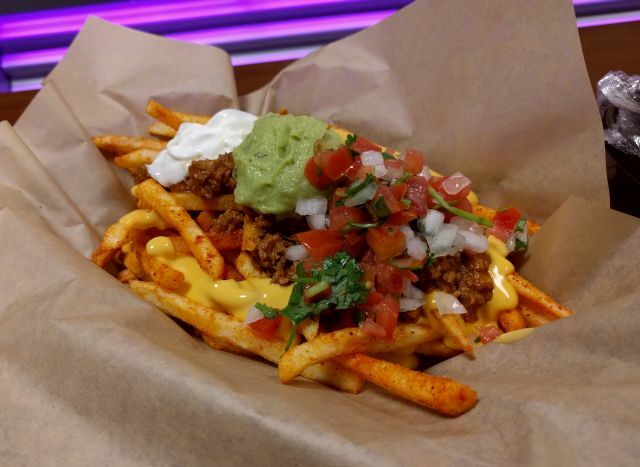 The Loaded Fries includes the same toppings you'd find in the Nachos Bell Grande except on top of seasoned fries. The seasoning on the fries gave them a bold flavor that's a little reminiscent of Taco Bell's ground beef but with a bit more of a kick. I liked the seasoning but the fries were rather soft. 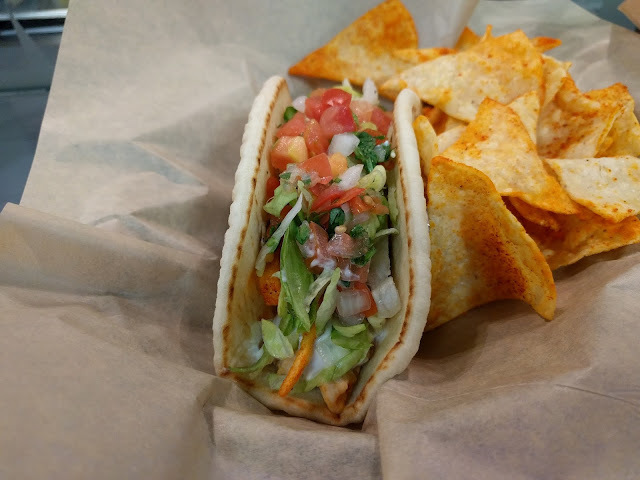 It includes a filling of grilled chicken, tzatziki sauce, fries, lettuce and Fiesta salsa. 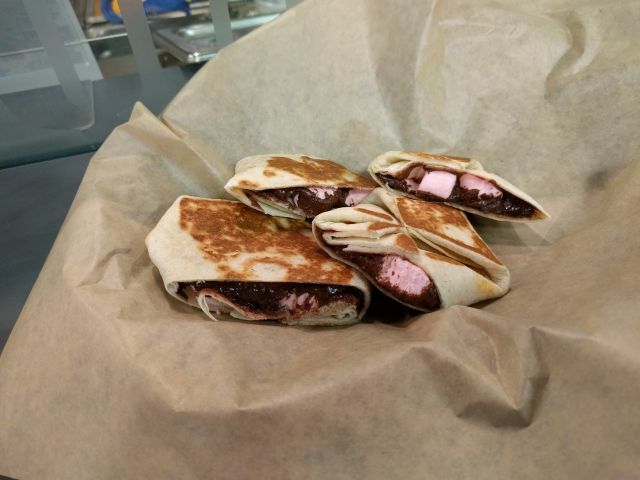 It's basically flour tortilla-wrapped s'mores minus the graham crackers, which is to say, melted chocolate and pink marshmallows in a flour tortilla. 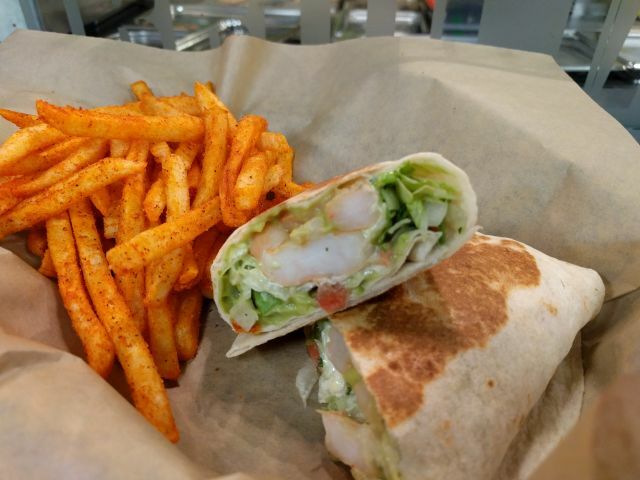 It features marinated shrimp, guacamole, fiesta salsa, lettuce and wasabi mayo wrapped up in a grilled flour tortilla. 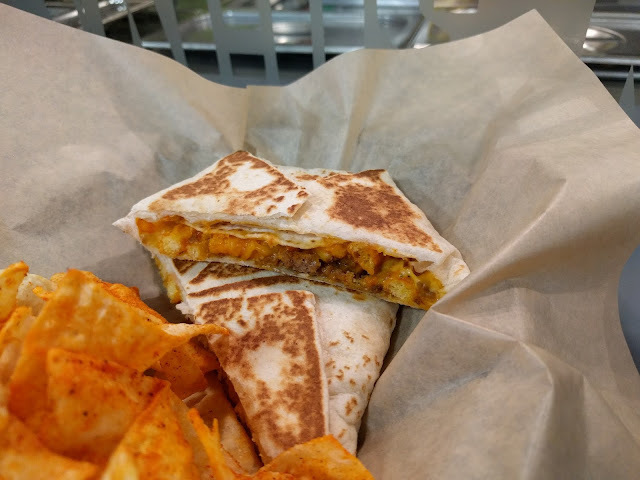 It consists of seasoned ground beef, warm nacho cheese sauce, shredded cheddar cheese, and Crunchy Cheddar Jalapeno Cheetos wrapped in a grilled flour tortilla.